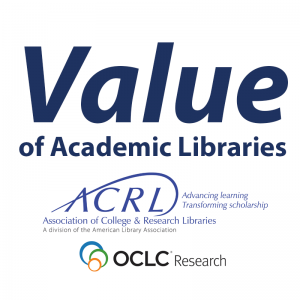 A team from OCLC Research, which ACRL selected last summer, has been hard at work since August to design, develop, and deliver a new action-oriented agenda on library contributions to student learning and success. Team members have released an initial draft of the agenda (PDF), and they seek your input and reactions. Submit your thoughts via the feedback form by December 16, 2016. The team will release a revised draft in January and present at the ALA Midwinter meeting on Sunday, January 22, 2017, 1:00 PM – 2:30 pm, during ACRL’s Update on the Value of Academic Libraries Initiative. Find out more about the scope of the agenda and background on the project website or by watching the recording of a recent ACRL online forum.